Birthday: 8, Spring, 514 AV. 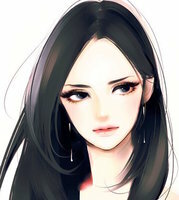 In her human form, Izuyanai appears to be a young woman with long black hair and deep blue eyes. She is rather small in stature but moves with an animalistic grace that accentuates her limbs. Most of her locks are usually held back with a simple cord, but a few strands escape to frame her face. Her eyes betray her intelligence and cunning when they light up with intrigue or inspiration. She holds herself seemingly at ease while her sharp eyes scan the surrounding area, observing and analysing. A pendant of a blue gem hangs from around her neck. Izuyanai appears as a sleek raven in her other form. 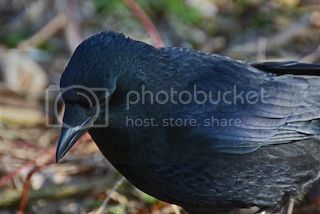 The glossy black feathers that cover her body emit a blue sheen. Her curved beak is dusted with a light silver and her legs end in sharp talons. Izuyanai is an avid seeker of knowledge and a crafty intelligence gatherer at heart. Her Kelvic nature makes her unpredictable and as a result, most do not understand her methods. However, she learns quickly and has picked up enough in human mannerisms that she is able to survive both within civilization and without. A consistent theme throughout her life has always been that of searching. Whether this is an effect from her race's original programming and mission, or the need to find a bondmate, she is not sure. Therefore, Izuyanai values being able to do as she pleases and saunters through life at her own place, roaming the world and satisfying her various curiosities. As with any raven, Izuyanai's intelligence is self serving and often applied to mischief. She prefers a verbal exchange and has therefore developed a sarcastic streak. She amuses herself by drawing reactions from others, enjoying her own sense of humor and taking part in games of wit. 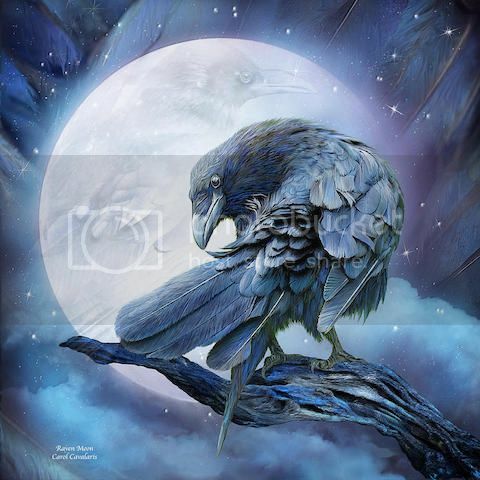 In this way, it can be said that the raven has a lot of pride, though thankfully she is not boastful outright. Outside her playfulness, Izuyanai is relaxed and unconcerned to the point where some might consider her to be unflappable. She rarely gets angry and will not give insults a proper response, though she will keep any hostility in mind and choose to take revenge at a more opportune moment. The truth is that besides having a different mindset than humans, she is calculating and has surprising control. This trait makes her rather secretive and at times, dishonest. Slightly twisted truths are not uncommon though others might never notice this. Despite all her misgivings, Izuyanai is fiercely loyal to her true friends. Once trust and companionship have been established, she is capable of empathy and displays of kindness. Books, tea, humor, and shiny objects. Loud noises, snakes, crossbows, and bow/arrows. Izuyanai had a relatively comfortable childhood in Wind Reach, considering the harsh region. Her family of a mother, father, two sisters, and brother were in the caste of Chiet. They all worked hard to keep the community afloat but Izuyanai was always an outsider. Being born into an otherwise Inartan family, she didn't fit in without the iconic flaming red hair. Her older, bonded brother was a role model to her and often acted as the basis of the moral compass she lacked. However, when he was killed in an attack by the Zith, Izuyanai left her home as if fleeing the incident. She had always wanted to leave, and now she had a reason, though not a one she would have liked. She hadn't been one for following human morality before her brother's death, but now Izuyanai wonders about it, curious of its mechanisms. In a brief landing in Lhavit, Izuyanai familiarized herself with the peaks and enrolled in some classes at the Towers. Having gained some precious knowledge of magic and the world beyond Kalea, she left for a new settlement as news started to trickle in from traders. Now she has settled in Syka where she hopes to continue her search. Last edited by Izuyanai on October 1st, 2016, 4:08 am, edited 44 times in total. -Cooking: Pay Attention to Cooking Projects or They Will Burn. -Heirloom: An elegant brooch of a cerulean gem, cut and polished into an tear drop shape. A black flowering vine, made of a type metal is curled around the side of the gem to hold it in place. -One beautiful leather-bound copy of The Treval Codex: Instead of a plain leather cover, there’s an embossed design onto the front. The leather is pressed into the likeness of a plant hanging its head with bell-like flowers. Thin leaves flourishes away from the stem and taper away. -Tailored Dress: A dark blue dress with a sweetheart neckline. The color merges into a pastel blue toward the bottom of the skirt, which parts slightly above the knees and flows down to the heels at the back. Last edited by Izuyanai on December 26th, 2016, 12:34 pm, edited 45 times in total.